Question: My Immunet console is displaying a message saying, "Disconnected" and the "Scan Now" and "Settings" buttons are greyed out. The above issue occurs when something causes the connection between these two applications to be interrupted. This also means that even though you might see the disconnection message your agent might still be running and actively protecting you (you can check this by going into the Task Manager, you'll have to select the "show processes from all users" option if applicable, and locating the agent.exe; if it's there then it's probably running correctly). So, what can cause this interruption between the agent and the tray processes? 1) Logging in with multiple users. If you log into and try to open the Immunet Console in more than one profile on your computer, then multiple instances of the iptray.exe get instantiated and all try to connect to the agent.exe at once. Unfortunately, the agent.exe can only handle a single connection at a time. This is a known bug that has yet to be resolved, however, manually closing the iptray.exe processes from the Task Manager or just restarting your computer will fix the issue. Selecting the No option will tell Immunet to clean up all of the local configuration, policy, .db files and logs. This also means you will be erasing your quarantine history. After Immunet has finished uninstalling, re-install and the corrupted files will now have been replaced. If your computer has a firewall (or multiple) it may be blocking our agent's connection to our cloud server. In order to make sure traffic is getting through, ensure that ports 53, 80, 443 and 32137 are all open. 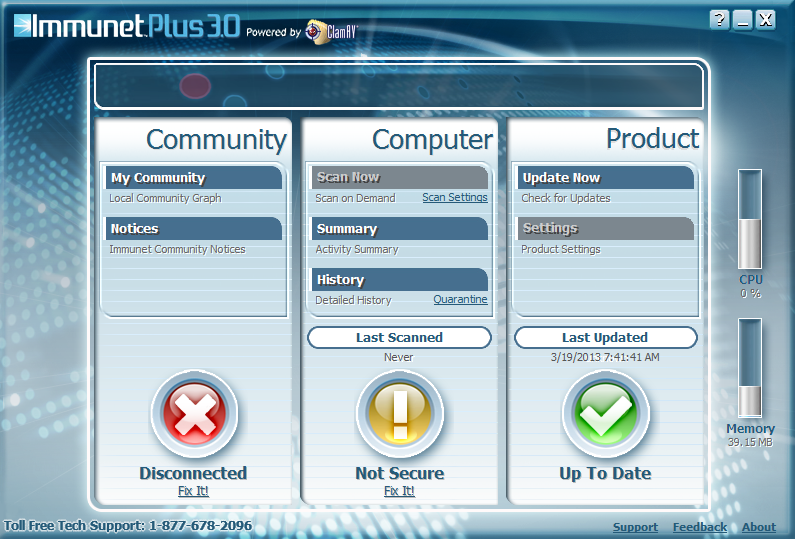 It possible that another AV product has quarantined parts of our service. In order to stop this from happening, add an exclusion into these other AVs (if you're not sure how to setup an exclusion a quick Google search should help you out) for Immunet's program directory (by default at the location C:\Program Files\Immunet). Make sure you're up to date with the latest version of Immunet. Many issues people experience with Immunet have already been addressed in it's latest version. Unfortunately for non-english users, our language pack builds are very far behind. This means that using one of the versions will still offer you the latest and up-to-date protection, but you will probably run into a lot more problems (like this one) as well as not being able to take advantage of our newest features. I regret to say that currently, our only workaround is to install the product in English. Sounds like a legitimate response. I tried to uninstall Immunet and I got the message "unable to unistall program." 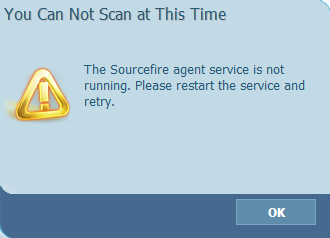 Then I tried the option of an message to uninstall with an app from sourcefire - and that failed too. I have Windows 10 on my computer.